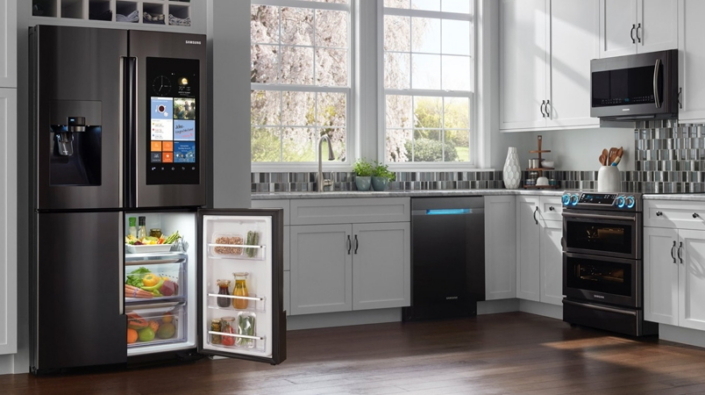 Samsung Electronics announced today that it will expand the voice recognition function of the Family Hub refrigerator to European countries in the second half of this year. It will also introduce the “Samsung Connect” smart home feature for the first time at IFA 2017. Samsung has already applied cloud-based voice features to the Family Hub in Korea and the U.S., and will add European languages on a phased basis this year, starting with British English, German, French, and Italian. Standing at the center of the home, Family Hub is now ready to help households take control of their various Samsung smart devices. Samsung Connect enhances this as a platform capable of connecting and controlling IoT devices regardless of their operating system, such as Android or iOS. Samsung Connect is now integrated into the Family Hub. 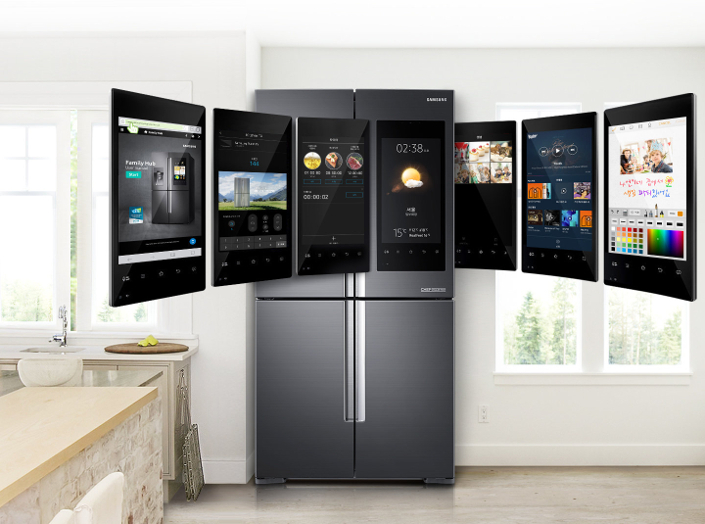 Users will be able to turn on and monitor their AddWashTM washing machine, or tell their POWERbotTM vacuum cleaner to begin cleaning up the living room from Family Hub’s interactive screen while cooking or entertaining in the kitchen. Furthermore, Samsung continues to grow Family Hub’s partner ecosystem with innovative new services and content. More than 100 partner companies collaborate with Samsung’s Family Hub platform across North America, Europe, and Asia/Pacific. As an example, Instacart, Shoprite and FreshDirect provide consumers in the U.S. with seamless e-Commerce shopping experiences. European versions of the Samsung Family Hub feature European retailers like Supermercato24 and Eataly to provide grocery shopping. For news and entertainment, consumers around the world can enjoy their favorite music on various music streaming services like Spotify, or stay up-to-date with the latest news via NPR or upday. Lastly, cooking enthusiasts can find daily inspiration from recipe apps like Allrecipes, Whisk!, and Samsung Club des Chefs. Visitors to Samsung’s exhibition booth at IFA 2017 in Berlin, beginning on September 1, can experience the Family Hub’s new voice recognition feature as well as Samsung’s smart home and IoT services implementing with Samsung Connect.